Gig on the 22nd Feb! 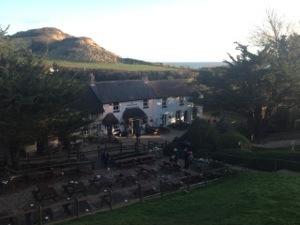 We are very much looking forward to this Friday as it is our first gig at the beautiful Smugglers Inn out at Osmington Mills. It’s a gorgeous pub/restaurant that we have enjoyed frequenting over the years and we are excited to have the opportunity to play there. We will be playing from 8pm onwards, so come on down and join us for some yum food, drink and music. Let the ukeing (and eating) commence!